She gushed about the experiences she has had while out on the road but admitted it has been difficult for her. 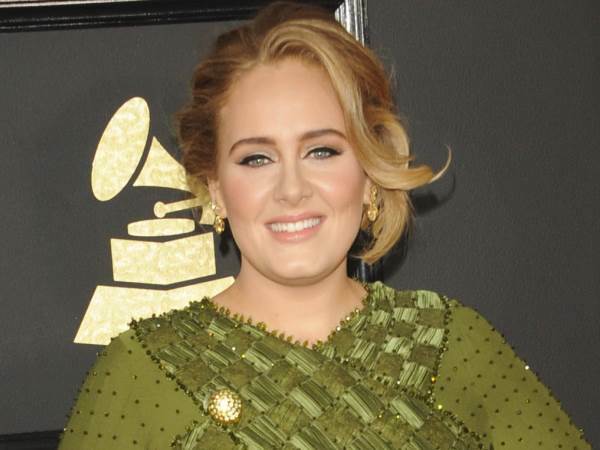 Adele is "not sure" if she'll ever embark on another world tour, insisting it is not something she is "good at." The Hello singer wrapped the New Zealand leg of her tour on Saturday and during the show, she gushed about the experiences she has had while out on the road but admitted it has been difficult for her. "Touring isn't something I'm good at, applause makes me feel a bit vulnerable," she said to the crowd, according to the New Zealand Herald. "I don't know if I will ever tour again. The only reason I've toured is you. I'm not sure if touring is my bag. My greatest accomplishment in my career is this tour." "It's changed my life," she added. "I understand why I (tour)." Last year, it was reported the 28-year-old was looking to take a 10-year break from touring to focus on raising her son Angelo. "Angelo is the number one priority for Adele. He is the most important thing in her life," a source told The Sun newspaper. "She has brought him everywhere with her on tour but as he is starting school next year, he won't be able to join her anymore. "Adele doesn't want to miss a moment of Angelo growing up and it's an easy decision for her to give up touring for him... Right now she is saying she won't do another massive world tour like the current one for another 10 years." According to the publication, Adele would consider returning to live performing if she was offered a Las Vegas residency, like other singer mums Celine Dion, Britney Spears and Jennifer Lopez.